How Does Your Dental Condition Affect Your Health? Your dental condition affects your overall state of health – gum disease is linked to other serious health problems in various parts of the body. What this means is that you can lead a healthier life just by taking better care of your teeth and gums. The infection of the supporting tissues of the teeth leads to gum disease. This infection is mainly caused by plaque build-up, which harbors bacteria. The mouth reacts to these bacteria around the gums and often results in inflammation. According to Dr. Jones of Nashville Restorative Dentistry, as the inflammation spreads over time, it can increase the risk of periodontitis and tooth loss. It often happens that the inflammation can persist over a considerable length of time and end up affecting the bloodstream. This slowly damages the blood vessels in the heart and brain and increases the likelihood of developing all kinds of complications including heart disease, stroke, diabetes, rheumatoid arthritis, and even dementia and problems in pregnancy. How this happens is that bacteria from the mouth enters the bloodstream and reaches the heart, attaches to any damaged area and causes plaque buildup and inflammation in the heart. According to a study published in Cancer Epidemiology, Biomarkers and Prevention, there is a link between poor oral health and this systemic disease. The study was conducted on postmenopausal women. It concluded that women who have gum disease have a 14% greater chance of developing oral cancer. There is also a higher likelihood of esophageal cancer. Cancer often results from an unhealthy lifestyle, which includes poor oral health. This fact is especially true for people who smoke and/or consume alcohol. Poor oral health has also been linked to breast, skin, gallbladder, and lung cancer. The Academy of Dentistry and Midwestern University’s Dr. Larry Williams stated that poor oral health can lead to poor control of blood sugar, and, in turn, diabetes. He also stated that people who already have diabetes can gain better control of their blood sugar levels by observing good oral hygiene. As a matter of fact, a study published in the BMJ Open Diabetes Research and Care have discovered that people who maintain good oral health are 23% less likely to have type 2 diabetes than those who do not. Gum disease does not, however, directly lead to diabetes. Rather, it causes a domino effect in the body by releasing inflammatory proteins that irritate blood vessels and induce the buildup of plaque which, as already mentioned above, contributes to high levels of blood sugar and diabetes. 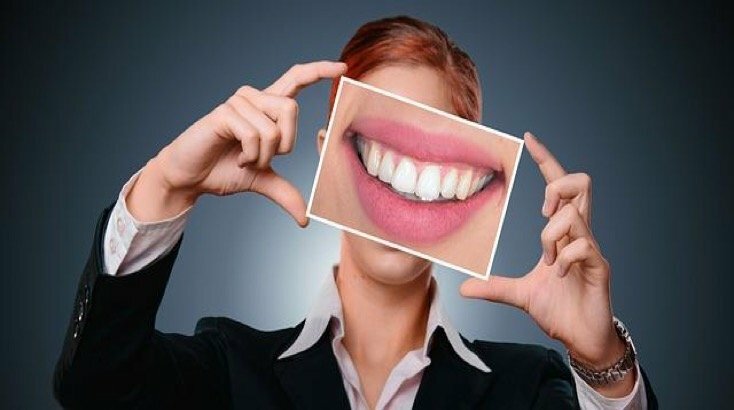 Gum disease leads to an increase in the release of C-reactive protein (a substance that is produced in the liver, which can serve as a marker for inflammation and disease in the body) and can cause cognitive impairment. A 2015 study published in the North American Journal of Medical Sciences stipulated that plaque buildup can lead to brain problems and, in some extreme cases, increase the risk of Alzheimer’s disease. In pregnant women with gum disease, bacteria from the mouth can reach the uterus and cause an increase in the level of the labor-inducing hormone known as prostaglandin. This can interfere with the development of the fetus and cause delivery problems. Gum disease, therefore, increases the risk of restricted fetal growth, preterm birth, and low birth weight. Also, plaque buildup on the teeth in pregnant women can lead to pregnancy tumors (non-cancerous) on the gums. It cannot be stressed enough how important it is to adhere strictly to dental health recommendations by brushing twice daily, flossing at least once a day, and paying regular visits to your dental care provider if you wish to stay healthy and happy, or improve your health condition. Take at least 2 minutes to brush your teeth using fluoride toothpaste twice a day. Make use of interdental brushes or floss at least once a day to clean the areas between your teeth. Schedule appointments with your dentist every six months (i.e. twice a year), and eat healthy organic foods. This way, you can be assured of a healthy oral condition and reduce the chances of developing other health issues as outlined above.